Effective financial planning depends on our ability to understand our client’s circumstances completely. At Heritage, we invest a significant amount of time at the beginning of our journey in order to understand Yorkshire clients’ aims and objectives, as well as the resources they have to meet those aims. Following an initial telephone conversation prior to meeting, our financial planning team request our Yorkshire-based clients gather all of their financial information, preferably including bank statements from each of their policies and pensions, and ideally completing and expenditure planner. An initial meeting often takes place in the region of two hours where we obtain a picture of our client’s current financial circumstances and their aims and objectives. At Heritage, our financial advisers can make home visits to clients all across Yorkshire, or if they prefer it, we can meet at our Morley-based office. Following our initial meet, our chartered financial planners often complete an income planner to determine how achievable goals are and begin to shape financial plans. Assuming you are wanting our financial adviser to continue their services, we then take the information formulated in the initial meeting and begin constructing a financial report to give our customer a detailed description of our understand to their circumstances and all recommendations. Sometimes information has to be gleaned from customer’s existing pension and investment providers which can take several weeks, though often once we have the authority on any plans we can re-obtain information quicker for future meetings. Our customers will then receive their individual financial report which they can examine in their own time before the next meeting, although sometimes clients prefer the report to be brought by the financial adviser to discuss through together. Shortly after our client receives their financial report, our advisers will arrange a commitment meeting to discuss through it. If we agree to move forward then we can assist clients with any paperwork required to put financial plans into place. If for any reason, either party decides not to proceed then we will not make any charge for the work undertaken up to this point, unless it is mutually agreed prior to carrying out the financial work. Once we have committed to being an individual’s financial adviser, our team then become the point of contact for all financial issues. Should I pay my daughter’s university fees up front? Where does investment income go on my tax return? How do I deal with my late grandfather’s estate? Our clients find it useful to discuss these issues with an experienced professional and this is part of our commitment to you. Some clients prefer to opt for a higher level of servicing for their portfolios in which case regular reviews take place of their holdings which are updated via email, in some cases as often as every three months. For all of our Yorkshire-based clients, our financial advisers meet with them as part of the servicing agreement on an ongoing basis. 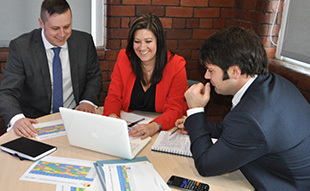 At these meetings we can provide valuations and review client financial plans to ensure that all is on track in order to meet the agreed aims and objectives set at the beginning. This will often involve further action taking place and another report is outlined above. Depending on the service you have opted for this can be on the telephone, at our Morley-based office or at a client’s Yorkshire home. For more information on the financial services offered by Heritage Wealth Solutions please click here. 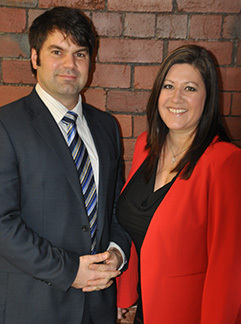 Our team is made up of an experienced mix of Chartered Financial Planners who work with a range of clients in the Leeds, York and surrounding Yorkshire area. To have a 30-minute free consultation with a member of our financial team please call 0113 350 2080.